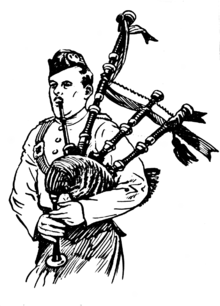 Do bagpipes come from Scotland or Ireland? 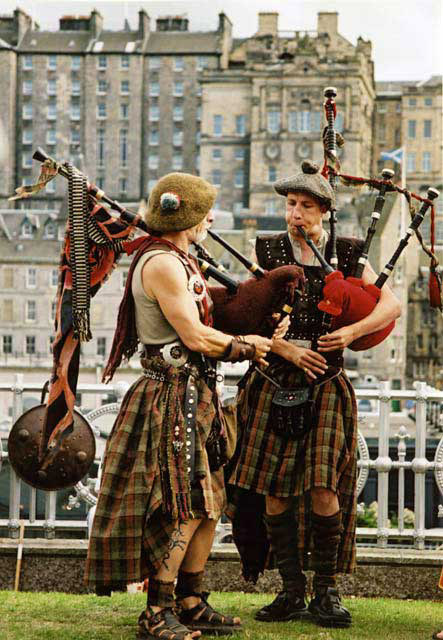 There are a variety of instruments known as bagpipes throughout Europe and even in parts of Asia, but in the British Isles, there are two main types, the Irish (Uillean or Elbow) and the Scottish(Great Highland or Small Border). Do the Irish play bagpipes? Bagpipes are a class of musical instrument, aerophones, using enclosed reeds fed from a constant reservoir of air in the form of a bag. Though the Scottish Great Highland Bagpipe and Irish uilleann pipes have the greatest international visibility, bagpipes have been played for centuries throughout large parts of Ireland. What are the bagpipes made out of? These are blown by mouth and the bags were traditionally made from the skin of a sheep; although currently leather, rubber or other synthetic materials are used. The pipes themselves were originally made of bone or ivory, but hardwood is the modern choice.